An often-asked question within the cryptocurrency world pertains to the glaring lack of anything truly “physical”. Many investors and enthusiasts would agree that cryptocurrencies are a breath of fresh air, from the world of stocks and non-commodity backed fiat currencies. Questions like “how does one calculate the value of Bitcoin?” or statements like “markets or individual coins are simply a bubble” are pretty normal. In recent times, Ethereum has shown us how physical value can be created within a cryptocurrency. Allowing your coin to demonstrate its usefulness in different ways with a provision to be traded, reduces the effect of external shocks and increases user and investor confidence; something which every market strives for. 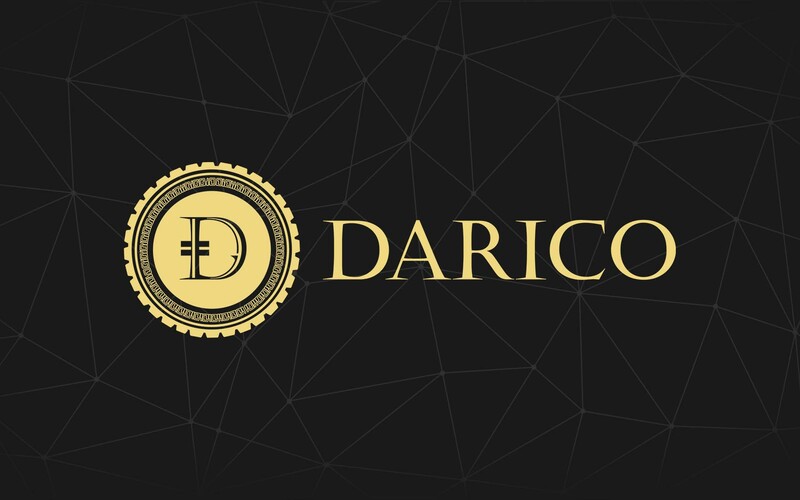 Enter DARICO – A new cryptocurrency which will be backed by a combination of both gold and Bitcoin. DARICO’s mission is to offset some of the volatility which is so widely prevalent in the crypto world. This will be achieved by tying reserve value of the coin to the ever-steady and (nominally) rising commodity –gold, to a value of 35%. The digital currency also aims to diversify some of the internal market risk while taking advantage of Bitcoin’s position as the leading cryptocurrency by holding reserves to a value of 55%. DARICO will fund this holding by issuing an ICO. 10% of the ICO will also be used to purchase Ethereum reserves. It’s the worst feeling in the world to see your bet on a coin tank while the value of its contemporaries continues to shoot up. It will be interesting to see the effect of DARICO’s multi-asset backed policy on their stability in price, liquidity, and rate of growth, especially during times of volatility. Darico Genesis accounts will also be used as mortgage collateral/deposits. If you want to get involved, DARICO’s ICO launches on October 30th, with an intention to sell a maximum of 60 million coins. More information about DARICO and its upcoming crowdsale is available on the platform’s website and whitepaper.